I always want to share any recent art exhibits that have wowed me. Most recently I visited the Marciano Art Foundation to see Olafur Eliasson: Reality Projector. It does not disappoint. This spectacular site-specific light installation reminds us how we can truly have an experience with a work of art. 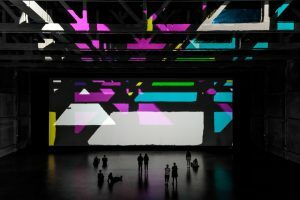 This projection is a kaleidoscopic and ever-changing array of shapes and shadows with highly saturated forms of color. A recent visit to Napa Valley certainly included some wine tasting and delicious food, but there is always art to be found. Most memorable was the spectacular collection of magic lanterns at Coppola’s Inglenook Chateau and winery. And anyone visiting this area should not miss the Hess Collection. The wines were very good, however the art collection is amazing. A small portion of the world renowned Hess Collection is on view here, including works by Anselm Keifer, Franz Gertsch, Gerhard Richter, Francis Bacon, and some wonderful examples by Magdalena Abakanowicz. *PULSE OF LA 2018 is SCWCA’s first collaboration with South Bay Contemporary SoLA gallery. The works have been selected by curator Katherine Harvath, current associate director of the Landing Gallery in Los Angeles. The exhibition will feature over 30 works by local artists that represent the compassionate and serious practices of so many creative women. The artists represented include Jan Adams, Nurit Avesar, Mariona Barkus, Lorraine Bubar, Luciana Farone Caccia, Andree Carter, Dorothy Churchill-Johnson, Alexis Cortez, Vickie Deneroff, Danielle Eubank, Kathy Foley-Meyer, Esther Sohn Jun, Nancy Goodman Lawrence, Charity Malin, Theodosia Marchant, Christine McPhee, Sandra Mueller, Linda Jo Russell, Seda Saar, Esther Kwan Simon, Kerrie Smith, Sarah Stone, Stephanie Sydney, Monica Wyatt, Mittra Zall. Exhibition opens with a mandala design workshop with artists Linda Jo Russell and Shelley Heffler. Saturday, 7/07/18; 2-4 p.m. 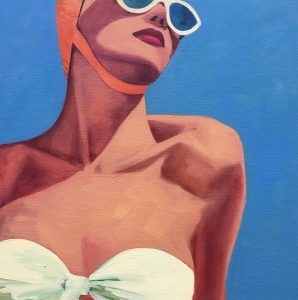 Opening reception: Saturday, 7/14/18; 4-7 p.m. Closing reception, juror’s walk-through and workshop with artist Sharon Barnes 2-4 p.m, closing reception 4-7 p.m. Saturday, 7/21/18. *There will be a walk-through and conversation with Judy Chicago and noted art historian Betty Ann Brown at Pasadena Museum of California Art in conjunction with their current exhibit Judy Chicago: Birth Project Born Again. Saturday, 7/07/18 begins @ 2 p.m; talk to begin @ 3p.m. *Screening of the film, Artist and Mother at L.A. Louver Gallery on Wednesday, 7/25/18 @ 7 p.m. The film profiles 4 California artists who make motherhood a part of their art: Kenyatta A.C. Hinkle, Andrea Chung, Rebecca Campbell and Tanya Aguiñiga. Event is free. Parking and refreshments are included. RSVP requested. Skidmore Contemporary Art Gallery is featuring Golden Glamour, an exhibition of oil paintings by Tracy Sylvester Harris. Get your summer started with Harris’s wonderful paintings that blend a bit of the past with the present. Her large-scale paintings mostly of female sun bathers, swimmers, and some socialites are skillfully executed using a vibrant palette. Tempering a sense of nostalgia with a modern approach to composition, Harris aims to remind the viewer that “our own lives are fleeting” and “[to relish] our time in the sun.” Close enough to entice without titillation yet distant enough to create pause, Harris’s women have a distinctly magnetic quality that is both predicated on the physical and the psychological. Thru 6/30/18. Shoebox projects will be featuring Kim Abeles 3.9 In the Closet on Sunday, 7/01/18 from 1-4 p.m.
L.A. Louver Gallery’s group show this summer is entitled Evolver. The exhibition will constantly change over the course of summer depending on the selection of artworks on view. 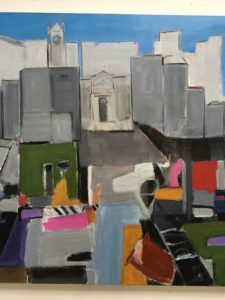 This ever-changing exhibition of painting, sculpture, drawing and photography will reveal unexpected relationships and currents of connectivity from over 100 selected artworks by more than 60 artists from all generations and backgrounds. Beginning with figuration and culminating with abstraction, the works will alternate at varying intervals to create renewed viewing experiences week by week, or even day by day. Towards the end of the exhibition’s run, the show will have completely transformed many times over. Some of the artists included in this exhibition are Sarah Awad, Linda Besemer, Rebecca Campbell, Laura Krifka, Heather Gwen Martin and Pae White. Thru 8/17/18. The Loft at Liz’s presents their 11th annual Diverted Destruction exhibition. This time 9 women artists contribute to curator Liz Gordon’s concept of selecting artworks in which found objects, discarded and repurposed trash items are used. The theme of exploring the human condition is brought forth by the featured artists, Fana Babadayo, Ching Ching Cheng, Alexandra Dillon, Kathi Flood, Rosalyn Myles, Camilla Taylor, Linda Vallejo, Marjan Vayghan and Diane Williams. Thru 8/20/18. 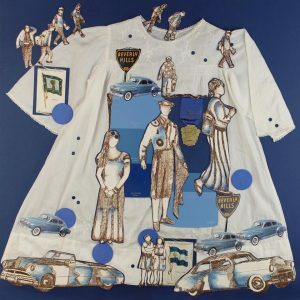 Craig Krull Gallery has an exciting program for the summer featuring the “all American Jewish Lesbian Folksinger” Phranc and painter Connie Jenkins. Phranc’s exhibition entitled Swagger, will include colorful hand-made paper dresses that recall her youth when she was taken to her uncle’s dress shop downtown to try them on (which made her very uncomfortable). She says, “Butch fashion is my armor. The dresses I was forced to wear when I was young only made me more determined to dress the way I do today.” Also included are paper life jackets that refer to her Lesbian-Feminist heroes who are fiercely surviving and thriving. 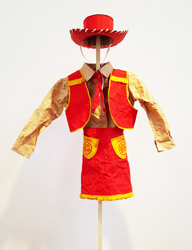 As Phranc says, these jackets are “strong enough to float me in a world that wants me to drown.” At the opening reception on Sat., July 14, Phranc is orchestrating a “Butch Parade”, a fashion show in which these heroes sail down the runway, head above water in her paper life jackets. Connie Jenkins has used water as both a subject and a metaphor for many years in her oil paintings. 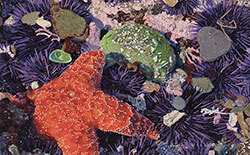 These recent exquisite tide pool paintings bear a relationship to photo-realism, but, as Jenkins explains, in painting water, she has “tried to paint the visual patterns with which our brains construct images—a shared illusion.” The water is rippled and foamy, blurring and bending the shapes of the purple sea urchins and green anemone below. By focusing on a horizonless bird’s-eye view of the water, Jenkins flattens the image, making it both an illusionistic representation of water, and an abstraction of paint marks that acknowledge the canvas as an object. 7/14-8/25/18. If you happen to be driving on Santa Monica Blvd. you may notice the site-specific work by noted artist Barbara Kruger covering the facade of LAXART GALLERY located at 7000 Santa Monica Blvd. Kruger’s bold, iconic graphics are not to be ignored. As signage, Untitled (It) speaks to its immediate Santa Monica Boulevard environ with its pawn shops and peep shows, dollar stores and nail salons, marijuana dispensaries and currency exchanges. Here is what Christopher Knight had to say about it in the L.A. Times: “When it comes to ordinary street signage for a pizzeria or muffler shop, we’re used to something more playful or beguiling than “break it, own it, steal it, loan it, kiss it, slap it, hug it, hurt it.” Kruger’s printed verb commands are like the frieze on a classical temple’s entablature; they’re held aloft by fat vertical “columns” between blocked-out windows. Holding up the abusive orders, the columns’ white words on a black background sputter motivations: “pleasure, power, profit, property, poverty.” Rising from beneath the windows across a podium painted vivid green, foundational words demand: “privatize, monetize, moralize, terrorize. Atop such base ultimatums, the “it” that is being broken, owned, stolen and hurt is unidentified. Instead, the object of the punishing verbal actions is neutralized; it is something less than human, not irreplaceable.” The mural will remain on-view through the end of 2018. Saddened like many to hear that the Pasadena Museum of California Art will be closing its doors in October of this year. 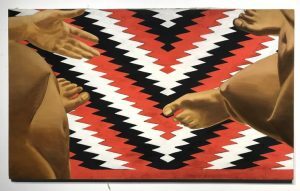 I am however delighted to hear that one of its final exhibitions will be Judy Chicago’s Birth Project: Born Again curated by Dr. Thompson Wylder. 16 examples from the Birth Project will be on view. It is an opportunity to revisit a ground breaking work as well as consider both past and present attitudes towards female empowerment and sexuality. In this work, Chicago also explores the boundaries between art and craft. Thru 10/7/18. 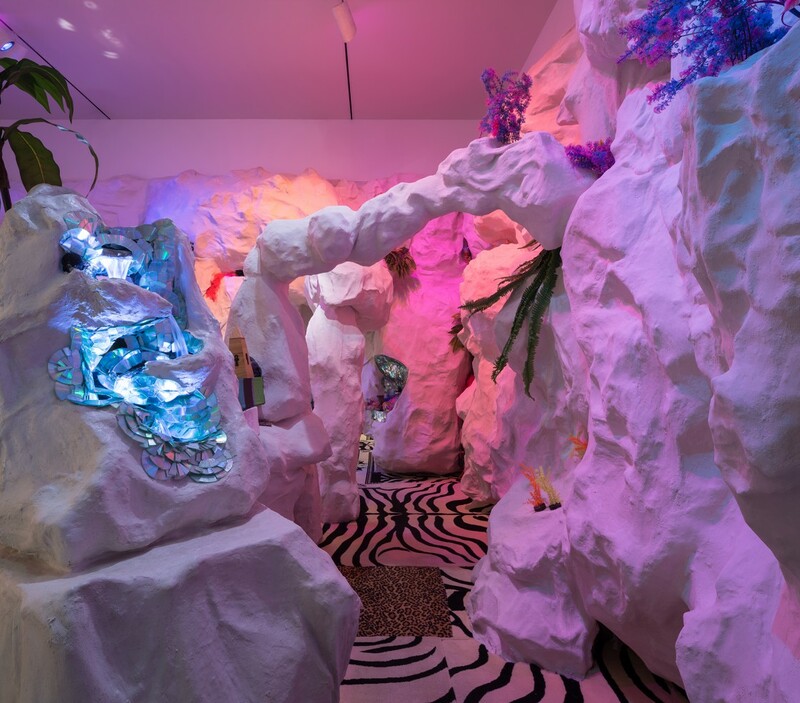 The UCLA Hammer Museum’s biennial Made in LA returns. 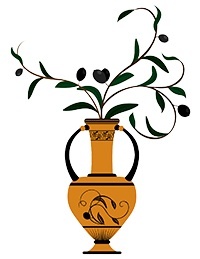 This time organized by senior curator Anne Ellegood and assistant curator Erin Christovale. 33 artists were selected this time to represent the diverse and creative landscape of Los Angeles. The list of artists includes Carmen Argote, Beatriz Cortez, Celeste Dupuy-Spencer, Lauren Halsey, Luchita Hurtado, Candace Lin, Nancy Lupo, Linda Starke and many others. A wonderful overview by KCRW’s Hunter Drohojowska-Philp helps provide some detailed understanding of these selections. Click here. Thru 9/02/18. The current exhibitions at MOCA Grand Avenue are Real Worlds: Brassai, Arbus, Goldin and Lauren Halsey: we still here, there. This exhibition selection consists of works by three essential photographers of modern life along with Los Angeles-based artist Lauren Halsey’s immersive site-specific installation. Runs thru 9/3/18. Lauren Halsey: we still here, there is curated by Lanka Tattersall. This is a site-specific installation work created at MOCA’s Grand Avenue location. Halsey has built an immersive space resembling a fantastical system of caves that viewers are invited to linger in and explore. This environment will serve as a visionary archive reflecting the diversity of everyday black cultural experiences in South Central L.A., the artist’s home since childhood. Runs thru 9/3/18. 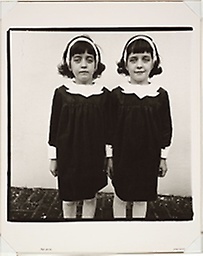 The Craft and Folk Art Museum is featuring 2 compelling exhibitions over the summer. The first is Bamboo which explores the evolution of Japanese bamboo basketry. A major selection of historical and contemporary works from the Los Angeles-based Cotsen Collection are central to the exhibition, as well as a large-scale, interactive bamboo installation by Japan-based artist Akio Hizume. The second exhibit is equally noteworthy featuring artwork by Katherine Gray. Katherine Gray: As Clear as the Experience features conceptual installations of glass. She exaggerates the physical presence of familiar glass forms. Gray uses dramatic lighting and unexpected presentations in this exhibit. An interactive installation gives visitors an immersive experience of the sights, smells, and sounds of the glass blowing studio. This exhibition is supported in part by the Art Alliance for Contemporary Glass. Both exhibitions thru 9/09/18.